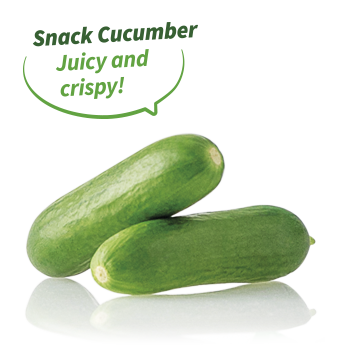 MyCubies® is the baby size snack cucumber. They vary in size between about 8 and 11 cm and can be harvested at any time between 25 and 40 grams depending on their presentation. Its extraordinary flavour and texture make it an attractive and healthy snack that will impress anyone.